The following four alumni received citations for achievement and service during Reunion 2015. 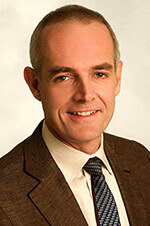 Charles Hoge MD '80 is a retired US Army Colonel and expert on war-related mental health and mild traumatic brain injury. He directed the military's premier research program on the mental health effects of the Afghanistan and Iraq wars and currently serves as a senior scientist at Walter Reed Army Institute of Research. He has deployed to Iraq in 2004 and Afghanistan in 2011, testified before Congress on several occasions, and been interviewed widely in the media. Hoge has published a self-help book for veterans and their families, "Once a Warrior—Always a Warrior," and more than 200 articles and studies. His articles on PTSD and mild traumatic brain injury are the most cited of all medical articles on the wars in Iraq and Afghanistan. A pioneer in the field of lighting design, Beverly Emmons '65 has designed and managed lighting for Merce Cunningham, Meredith Monk '64, Lucinda Childs '62, Martha Graham, and productions on and off Broadway, in regional theatre, and around the world. 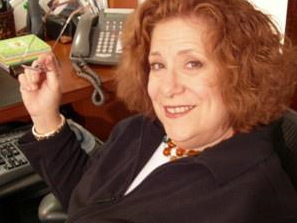 She is the recipient of seven Tony award nominations, an Obie award, and two Bessies, including one for sustained, pioneering career achievement. Emmons has taught at Sarah Lawrence since 2008, as well as at NYU, Pratt, Columbia, and Yale. She is executive director of The Lighting Archive, a searchable Internet database of lighting design collections available to students and scholars. 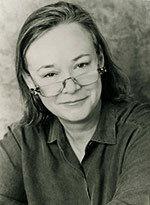 Stephanie Cooper Esq. graduated in 1965 and earned an MFA in chamber music from SLC in 1976. She has served as class correspondent, reunion chair, fundraiser, trustee, Alumnae/i Board member, and president of the Alumnae/i Association. As a trustee, she served on numerous committees and task forces, including the presidential search committee. Cooper enhanced the Alumnae/i Board's effectiveness and professionalism through retreats and reorganization. Her efforts to foster a culture of connection helped inspire the Class of 1965 to make a 45th Reunion gift of more than $100,000, breaking the College record for class participation and amount raised. Through her continuing efforts and those of reunion volunteers, the Class of 1965 is well on its way to surpassing its 50th Reunion goals. 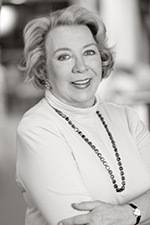 Pauline Metcalf '60 is an interior designer, architectural historian, restoration consultant, lecturer, and author celebrated for her 2010 biography of mid-20th-century designer Syrie Maugham. Metcalf has served on numerous boards preserving Rhode Island's historic architecture and chaired the interior restoration committee for The Mount, Edith Wharton's home in Lenox, Massachusetts. A former student of Joseph Campbell and Adda Bozeman, Metcalf has been a longtime supporter of the Adda Bozeman Chair in International Relations and is currently working with her class as design consultant on the gift of a new reading room in Esther Raushenbush Library.